Chronic unemployment in Kenya leaves 68 percent of youth without a stable income. In the slums, young men and women struggle to find a source of income. Some youth sell their bodies, rob their neighbors, or are recruited by Al-Shabbab to launch grenades into neighborhood markets. The problem is worsening quickly as the slum population is expected to double by 2030. 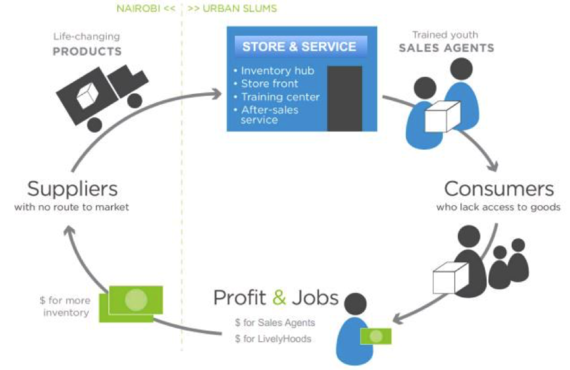 One social enterprise, LivelyHoods, trains youth and women in the slums to sell clean cookstoves, solar lamps, and other products through door-to-door sales, popup sales events, and business-to-business (B2B) sales to small and informal retailers. So far, LivelyHoods has trained over 2,000 youth and created over 900 jobs, generating over $115K in income for their sales agents. 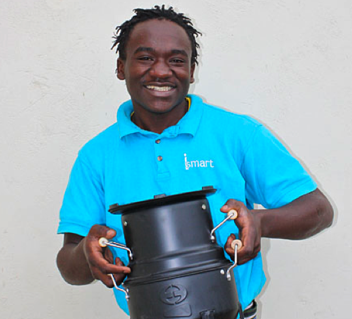 LivelyHoods estimates that the 14,000 cookstoves and 1,700 solar lamps sold through their network have prevented 175,000 tons of carbon emission--the equivalent of taking 36,000 cars off the Nairobi roads. "You can't imagine how hard it was to live in the streets," says Alex Beru, one of LivelyHood's first hires. 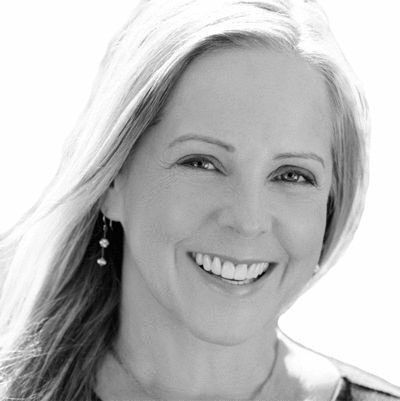 "Before I joined as a sales agent--you can't imagine. It was hard for me to get food there in the streets. We were collecting scraps to get food, snatching anything. But now I can earn money, through working hard, selling products to the community. Now we're selling things that bring impact to the lives of people living in the community." In the slum where Alex lived, his neighbors feared and disdained him. "I felt isolated," he recalls, "because people think negatively about street boys and ignore them . . . Even the dogs would bark at me. Because everybody thought we [street boys] were bad people, we didn't have opportunities to work and earn a living; and so we ended up engaging in criminal activities like pick-pocketing, gambling, and stealing. Rehab centers and orphanages don't really change outcomes, according to Alex. "I was in many organizations--rehab centers [rehabilitation centers for street kids], orphanages, that would try to help us by giving us food and clothing and offering showers, but nothing was working for me," he says. "At the end of the day, we would just go back to sleep in the street and we wouldn't be any better off than before. It is like the saying, 'You give a man a fish, you feed him for a day; but teach a man to fish, and you feed him for a lifetime.'" To Alex, LivelyHoods offered a pragmatic solution to poverty. "Our program trains youth in entrepreneurship and then gives them a loan to start their own businesses," he explains. "While I was attending that training, I explained that we [the youth] wanted to have more experience in business before taking on a loan and possibly going into debt trying to start our own business. After that, we decided to change the program. I helped survey the community and ask what products they were using at home and what products they would like to have. 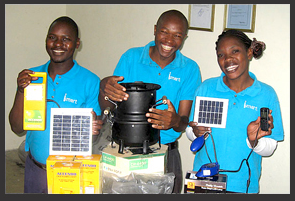 Many people that we talked with said that they wanted electricity, so from that survey we decided to sell solar lamps in the slums." People can't even believe Alex is the same boy they used to see in the streets. "Now that I'm the Recruitment and Training Manager, a lot of people in the community can't imagine that I used to live in the street. They see a big change and how LivelyHoods has really changed my life. I'm happy because I'm trying to imagine how we'll grow big in the years to come. Our aim is to reach many youth." LivelyHoods partners with local organizations that are not providing income-generating activities and offers services to their clientele. They provide trainees with a week-long comprehensive classroom sales and marketing training that covers a range of employable skills, followed by a week of field training with instructors and experienced sales agents. Sales agents receive products on consignment and earn commission for each product sold. Micro-consignment borrows heavily from traditional microfinance. Instead of borrowing money to buy product, however, their youth choose which products they want to sell and only repay the cost of the product after successful sales--a low-risk alternative to microloans. Sales agents are also offered ongoing and refresher trainings to stimulate growth and learning. These trainings vary in topic ranging from ethical decision-making to closing deals. LivelyHoods is now working toward becoming a financially sustainable social business. 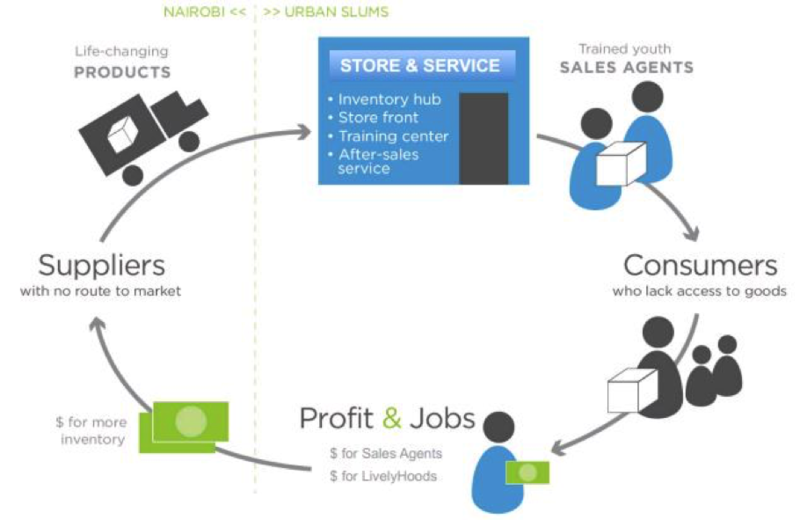 Their strategy is based on scaling their model to 38 slum communities throughout Kenya, and they are already a third of the way there with 12 branches currently operating across Nairobi and Mombasa. See their blog for details and branch locations around Nairobi and Mombasa. Over the next four years, LivelyHoods will create 5,200 jobs and save 3.7 million trees. LivelyHoods is also exploring franchising, which would allow organizations and entrepreneurs all over the world to implement their job creation and product distribution model. By the end of this year, they will pilot a franchise in Moshi, Tanzania. Photographs, graphic, and video courtesy of LivelyHoods. Disclosure: LivelyHoods is a partner of Skees Family Foundation.